Mix wheat flour,gram flour,methi leaves,turmeric powder,ghee, ginger and salt.Knead a tight dough with little water. Cover the dough for 10 minutes with damp cloth. Deep fry the kachoris till golden brown from the both sides. 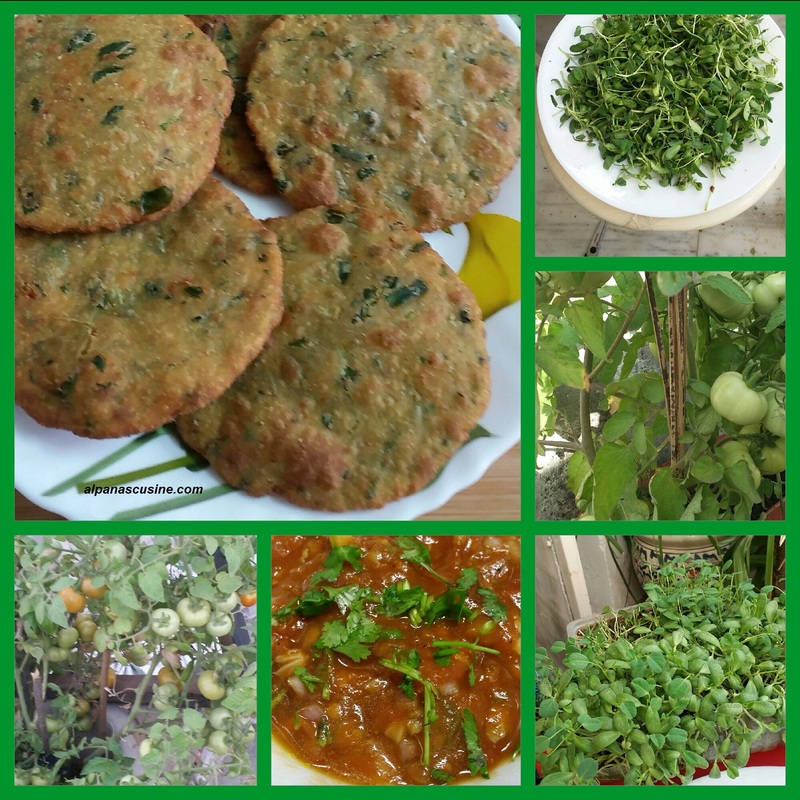 NOTE :If you want to stuff the methi ,you can add gram flour,turmeric powder,ginger, and salt to chopped methi,stuff in the dough,roll and deep fry kachori. ROASTED TOMATO CHUTNEY :This Roasted Tomato chutney is very special because i have made it direct from my terrace garden. Roast tomatoes ,garlic and green chillies ,keep it in a bowl. Add mustard oil,chopped onion,salt and coriander leaves mix well . Roasted tomato chutney is ready to serve.